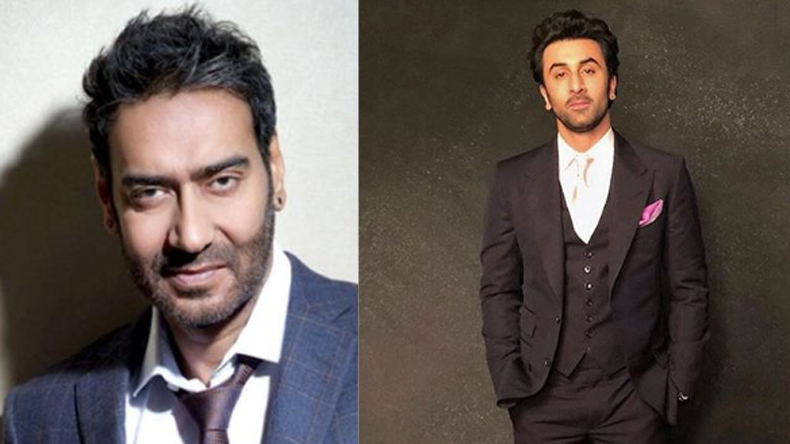 The news has it that the upcoming Luv Ranjan movie with Ajay Devgn and Ranbir Kapoor had been shelved, the Total Dhamaal actor cleared the confusion and has confirmed that the film is still happening. The fans are enthralled and are dying to see the two very talented actors of the industry collaborate for the film. Ajay Devgn, who is busy with the promotions of his forthcoming film, Total Dhamaal with Anil Kapoor, Madhuri Dixit, Arshad Warsi, Riteish Deshmukh among others, has confirmed that the rumours about his film with Ranbir Kapoor, which was set to be directed by Luv Ranjan has not been shelved and that the two actors will shoot for the movie next year. The veteran actor stated in an interview that he and Ranbir will start shooting from next year as planned. Luv Ranjan, is best known for films like Pyaar Ka Punchnama sequels and more recently Sonu Ke Titu Ki Sweety (2018). It was abuzz that the director was set to direct Ajay Devgn and Ranbir Kapoor. Ranbir too, during the promotions of Sanju (2018) had expressed his desire to work with Luv Ranjan. Although recently the rumours were that the film had been shelved because of script issues, Devgn confirmed that the film is still on point. The last time duo was seen sharing the screen in Prakash Jha’s multi-starrer film Rajneeti in 2010 which also featured Arjun Rampal, Katrina Kaif, Nana Patekar, Manoj Bajpayee and others. Furthermore, in addition to Total Dhamaal, Ajay Devgn will also be seen in his upcoming release De De Pyaar De with actress Rakul Preet Singh. He will also enact in the historical drama Tanaji: The Unsung Hero, in which, Saif Ali Khan is also starring reportedly. Meanwhile, Ranbir Kapoor, who delivered his career-best box-office hit last year, Sanju, will be seen in Ayan Mukerji’s upcoming film Brahmastra with Alia Bhatt and Amitabh Bachchan and Shamshera, with Sanjay Dutt and Vaani Kapoor.